From the moment you step through the door to your cottage you will find everything, and more, for an enjoyable relaxing stay. Attention to detail for a stress free break is what makes Kidd Street Cottages unique with the little extras such as flowers and chocolates on arrival. All you need to do is sit back, relax and enjoy your stay with us. Large verandas and beautiful gardens. 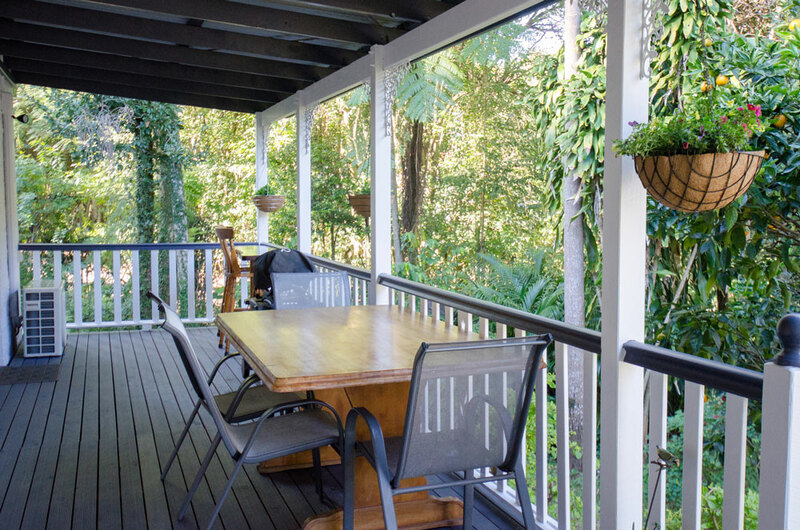 Expansive private verandas where you can relax and enjoy a wine and listen to the birds. Wander around the beautiful gardens admiring the many shrubs and plants surrounding the cottages. 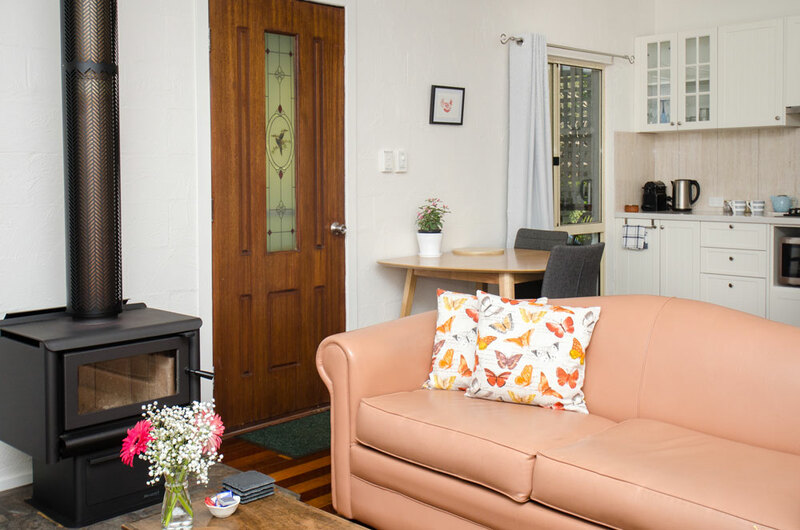 Quaint and cosy boutique private studio cottages containing everything for that perfect relaxing getaway. Comfy couches, flat screen TV, bluetooth speaker/radio, DVD player, DVDs, books and magazines for your enjoyment. Fully self contained kitchen with quality cookware containing all you need for a longer stay. 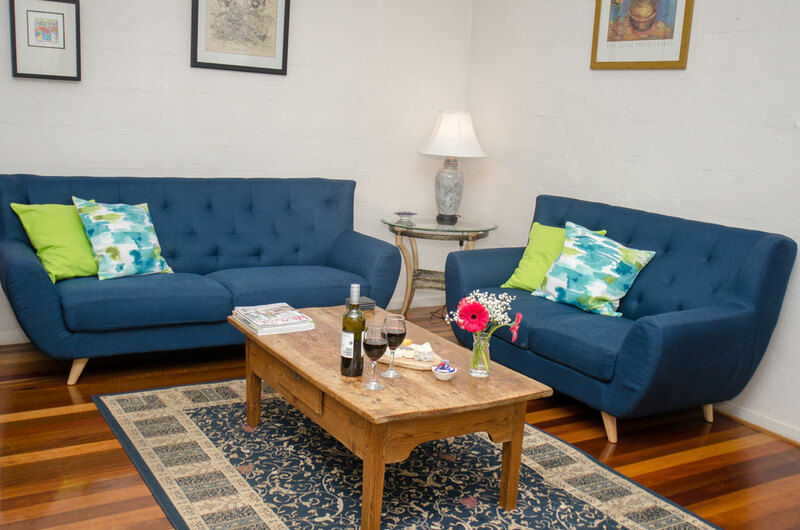 Spacious one bedroomed Blue Wren Cottage has all you need if you require separate sleeping/living area but still in keeping with a cosy ambience. Restaurants and an Irish bar in close proximity to the cottages – these include Three Little Pigs, Clancy’s Irish Bar, Hickory, Spice of Life, Drift Cafe, Belvedere Restaurant, Tamborine Mountain Pizzas to name but a few.